Anyone who knows me well, knows I adore Christmas. I love spoiling people and it is the perfect opportunity for it. I even have a Christmas gift spreadsheet.... I'm rather organised! Of course, there is also the other side of Christmas, in which I am given gifts. My family always ask for a Christmas list, even now I am 27, so I decided to blog a sort of Christmas list instead and share it with you guys too. The print on this dress is so unusual and beautiful. I love the thigh high splits, and the sheer fabric overlay. Perfect for a more casual autumn party or night out. I love a good pair of boots. But at a UK size 10 with wide feet, I do struggle. But these, these would fit me, and look at the shiny! 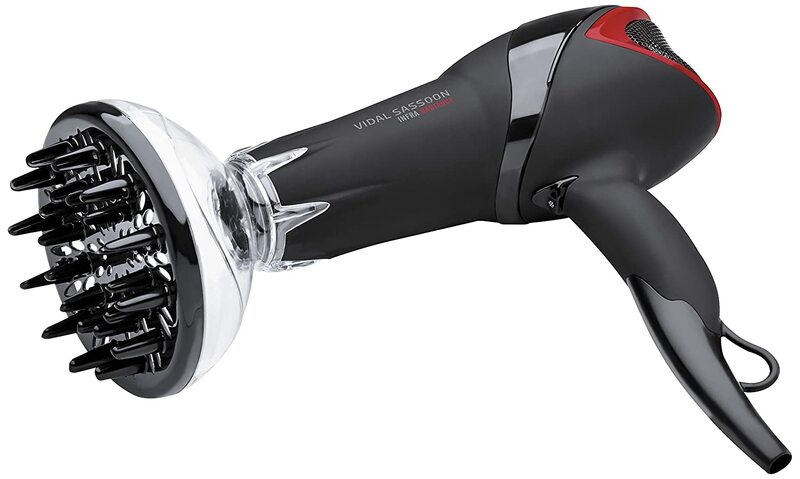 I had this hairdryer and loved it, but after a slight incident involving my dog and the wardrobe door, it is no more. I don't use heat on my hair often, but when you have curly or wavy hair, a good diffuser is an essential tool for truly big hair! There is always a need for more Sugar & Vice in my life, and this radiant acrylic is incredible, and I need more of it! Everyone I have seen in this dress looked utterly fantastic. It is classic, cool and so flattering. I have several of the Rosie collection headbands now, and I think a classic black in the largest size is my next must have. Black goes with everything, and is so glam. Faux fur and monochrome are always a good combination, and that flash of teal is perfect. I am becoming a real bag person these days, and this purple glittery moon bag is lush! I love that is has a shoulder strap and silver hardware. 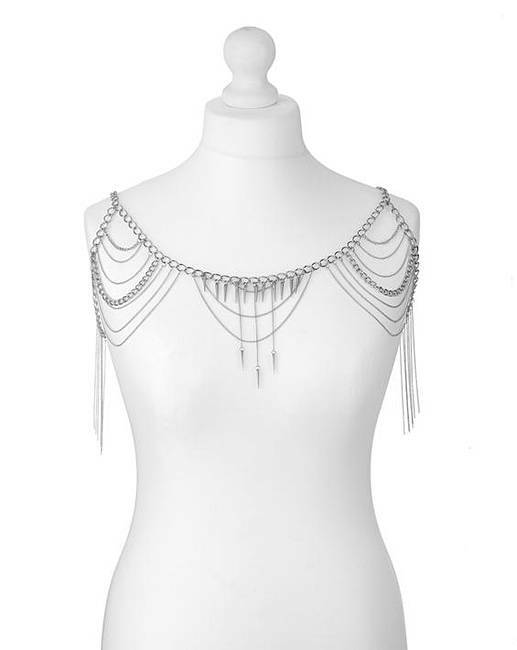 I have been lusting after this sort of harness for so long, and to finally see it in plus size, in silver is a dream! 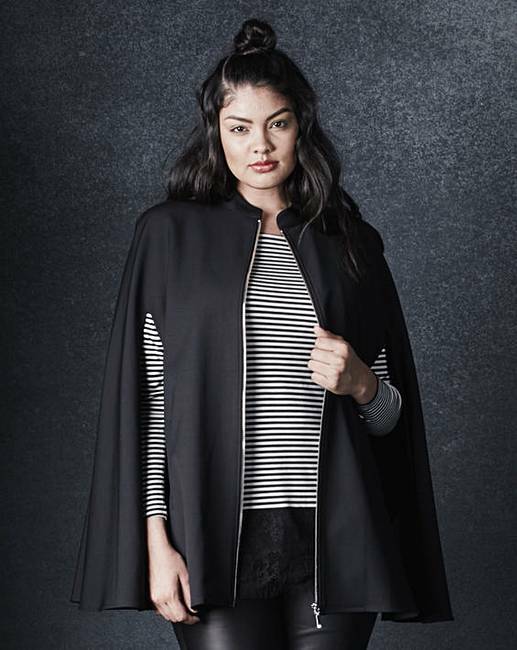 I am in love with cape blazers, and I think this black one with a sort of subtle punk look with the zip is perfectly me. Leggings are a go to winter favourite for me, and this side mesh also means it's a cheeky way to flash a bit of skin and ink too! You can't go wrong with a LBD, and the hint of animal print in the sheer sleeves is so me. I've become a massive fan of Pink Clove and the quality of their clothes is great. In king size please! I love a monochrome duvet. Our bedroom is all black, so a monochrome bed set is perfect to set it off. This pattern is fab. I always need new bedding! What are you asking for for Christmas? Is there a dress you've been lusting after? Let me know! All of these items look gorgeous and I think you pretty much summed up everything that I would want! hehe :D we obviously have great taste! I can strongly recommend the Jameela Jamil dress - it is a must! Also, love that shoulder chain - great picks! thanks Chelsea, I hope he is for you too! I love the tiara, it's so pretty. Can't wait for Christmas!